The famous Beatles logo – a wonder of understatement also known as ‘the Drop-T’ design was based on a sketch made by instrument retailer Ivor Arbiter in 1963. The Beatles on their Autumn 1963 UK Tour. 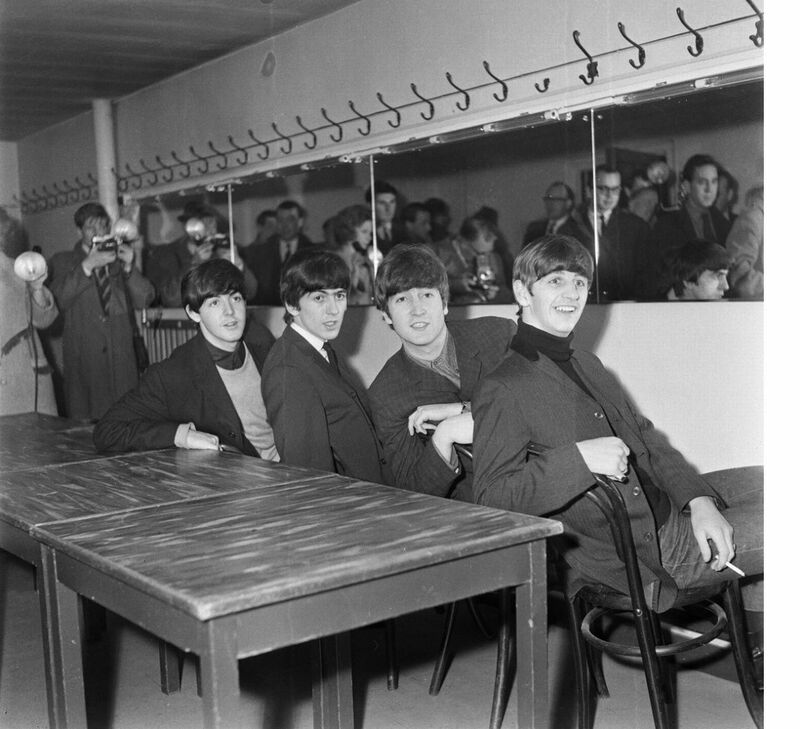 They were at De Montfort Hall in Leicester on Sunday 1 December 1963. The Beatles previously performed here on 31 March 1963. 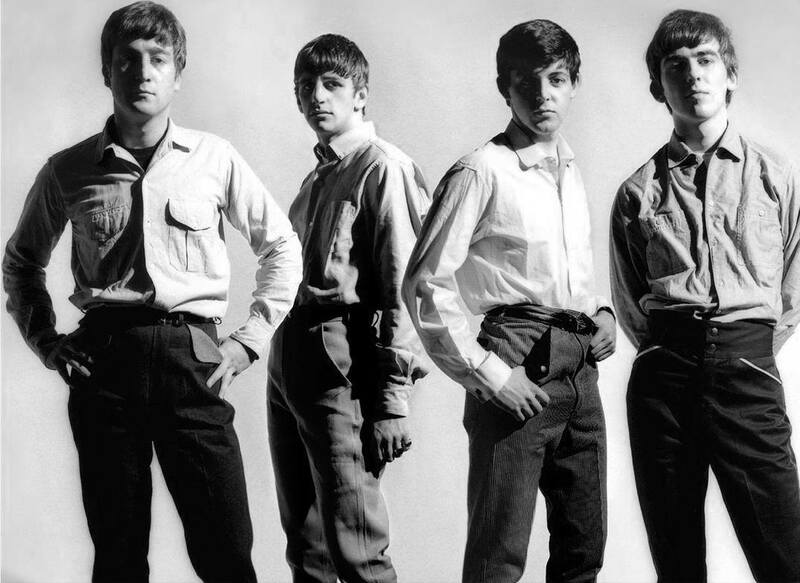 In 1963 Lybro Limited, a Liverpool jeans company, asked the Beatles to advertise their jeans. In May 1963, the lads were photographed for the advertisement and the pics were used to create a flyer with the drawings of the Beatles. In December 1963 Shahrokh Hatami was sent to Liverpool by Paris Match magazine to capture the raising phenomenon of Beatlemania. 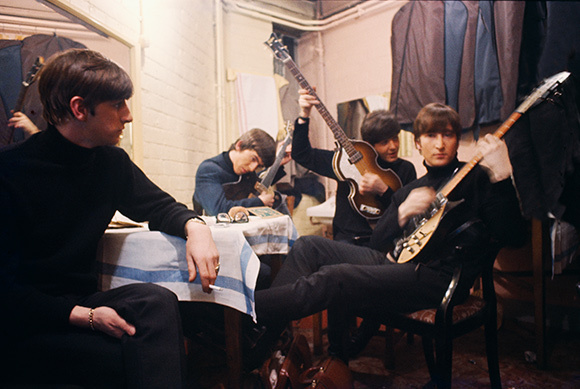 Hatami pictured the Beatles backstage for a 1963 Christmas concert and also took some rare color photos of the Beatles at the legendary Cavern Club. On 5 March 1963 The Beatles were in London to record their new single. 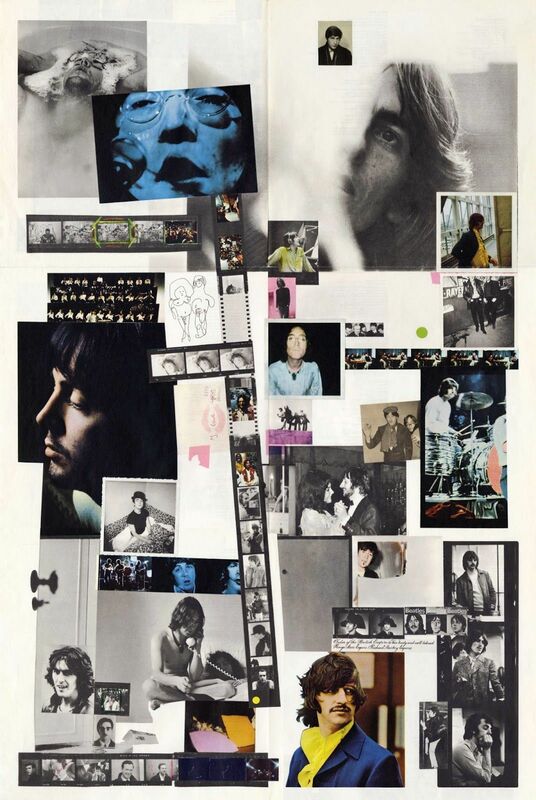 “From Me To You”, “Thank You Girl” and “The One After 909″ were taped during this session. 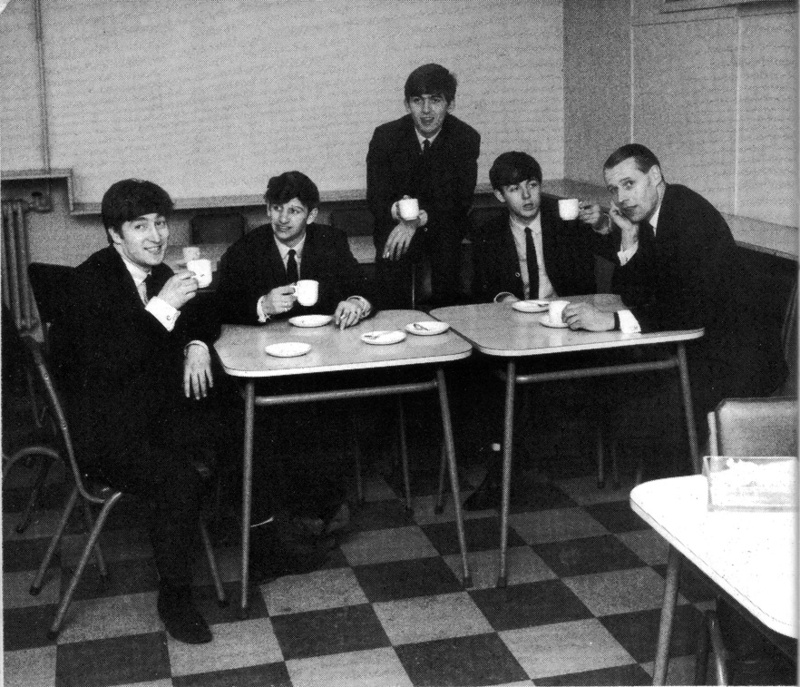 Here with George Martin having tea at the EMI canteen during a pause.